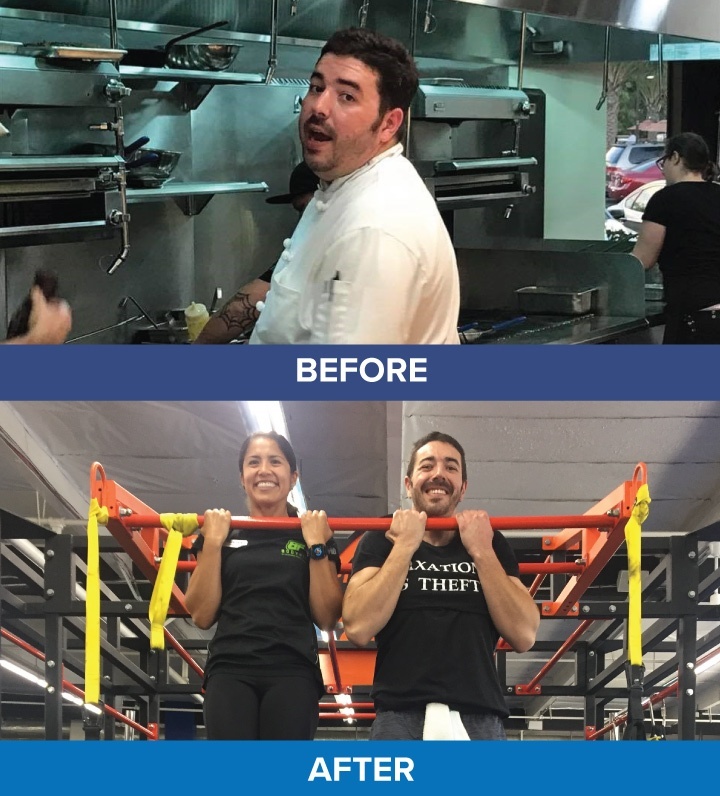 Member Success Story: David D.
Raise your hand if you are returning to the gym after taking a few weeks...months...or even years...off! You may feel like the only one who fell off the fitness wagon, but the reality is, most of us have been there at some point. The good news is, it's never to late to start up a healthy habit. Carmichael member David D. is proof of that. "I was a member 15 years ago, and rejoined January 2018," David tells us. Like many others, he resolved to become healthier during the new year. "I felt sluggish and overweight," he confesses. "I started to work out because I was too round. It was time for a change and to get in shape." Deciding that he wasn't going to give up on new healthy habits before the year was over, David decided to start working with a personal trainer. 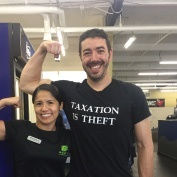 The accountability his trainer, Martina Villasenor, gives him has been key to David's success. "I see Martina at least twice a week and really look forward to our sessions. They are tough but fun! Martina has helped me lose around 80 pounds and drop 18% body fat. She's a great trainer," David says. Along with his sessions with Martina, David works out regularly 4-5 times at week at Cal Fit. His new gym habit has had some great rewards, David notes. "Now I feel amazing. I still have a bit go but the energy, stamina and muscles I have now are much bigger. I feel a lot stronger." David's return to the gym started out as a New Year's resolution to lose weight. Now, he's adjusted those goals to maintain optimum health. He explains, "The original goal was to lose a lot of weight. I achieved that after about 6 months and adjusted my goal to lower body fat % and increased muscle mass. I lost around 80 pounds and 18% body fat. My life has changed a lot in the positive. My back feels better, I have a lot more energy, my mind is sharper, my confidence is up and much more." You don't have to wait until 2019 to set new goals to improve your health and fitness. We'd love to help you get started (or continue progressing) on your fitness journey today! Check out our current membership offers. If you've developed some good habits already and--like David--want to switch your goal from weight loss to muscle gains, consider the hydrostatic body mass testing we offer.